As we all look forward to spring, one big thing comes to mind in my household: gardening! My husband was dreaming of this year’s garden last summer, as every year it seems our garden grows bigger and bigger with different varieties of vegetables. However, along with gardening can come stress and strain to our muscles and joints. 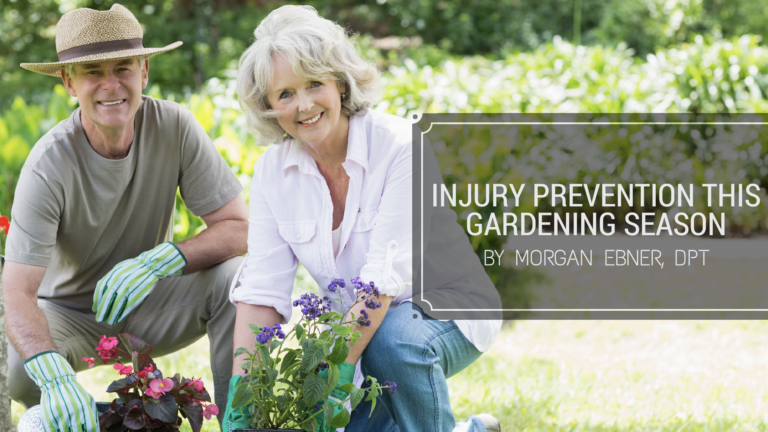 Common gardening activities such as tilling, digging, planting, mulching and raking are physically demanding and can wreak havoc on our bodies, especially those who normally are not as active, particularly those of advanced age. 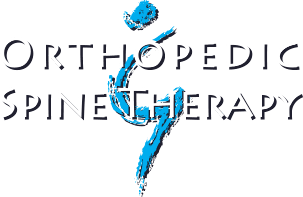 If we do not pay attention to our body mechanics or “listen to our bodies,” our shoulders, neck, back, and knees can be vulnerable to injury. One good way to minimize or prevent injuries while gardening is to do a “warmup” before starting to dig, rake, plant or weed. Gardening, as you know, is very physical. Just like a warmup is recommended before lifting weights at the gym, a warmup is ideal before gardening. The “weights” just look different. Instead, they are the bags or shovels of soil, garden tools, wheelbarrow and the stubborn weeds that take much more force than expected to dig up or pull out. Simple acts of walking briskly, doing stretches for the spine, arms and legs can really help prepare the body for such activity. Try to reserve five to ten minutes before gardening to get the blood flowing to the working muscles. Depending on the gardening task, working in a kneeling or bent over position may be warranted for an extended period of time. Staying in one position is not good on our joints and muscles. Try to change positions frequently to avoid stiffness or cramping of muscles. Along with this concept, “listen to your body.” In other words, be aware of how your body is feeling while you work in the garden. If you need a break, take one. Stretch your body in the opposite direction it was just in or work on a different gardening activity. If your back starts to ache from bending or leaning forward for too long, stand up and do some backward bends to stretch out your spine. If kneeling on both knees causes pain in your back, try alternating which knee is on the ground. Using knee pads or a gardening pad can also protect the load and pressure placed on our knees. Look into garden kneelers, which have handles on each side so you can use your arm strength to lower yourself for weeding or planting, and then push yourself up again without straining your knees or back. Such kneelers can also be flipped over to become a bench to sit on. If you are unable to kneel, or leaning forward is painful on the back, elevated planters may also be a good option. Proper body mechanics are essential with lifting or pulling, such as those darn weeds! Upon trying to lift an object, tighten your abdomen and bend your knees, keeping your spine straight as you lift or pull. Do not hold your breath. Exhaling during the exertion can help make sure you are breathing as you lift heavier items. Do not twist the spine at the same time you are bent forward, as this puts your spine in a vulnerable position, leading to injuries. Instead, move your feet or pivot on your toes to turn your whole body together as one unit. Planting materials such as soil and tools can be heavy. Use a garden cart or wheelbarrow to help move these items, but just make sure to watch your posture and body mechanics by keeping your back straight when using this equipment. To protect our wrists and hands, avoid extending the wrist upward when pulling weeds or while using gardening tools. This can lead to overuse injuries of the muscles in the forearm. Instead, keep the wrist in a neutral position and use the bigger muscles in your upper body and/or shoulders to pull and lift. Once you have completed your tasks in the garden that day, just like you started with a warmup, make time to end with a cool down. My favorite is standing backward bends to protect my spine. Also, some light walking and stretching of the arms and legs can help alleviate the strain on your muscles and joints. //Originally published in the May 2018 issue of Nature’s Pathways Magazine. //Morgan treats patients at our Ladysmith clinic. To schedule an appointment with her, call 715-532-3439.